Unlike outdoor pools, indoor pools are not subject to day/night temperature fluctuations, radiated heat to the night sky, and winds to carry away their heat. 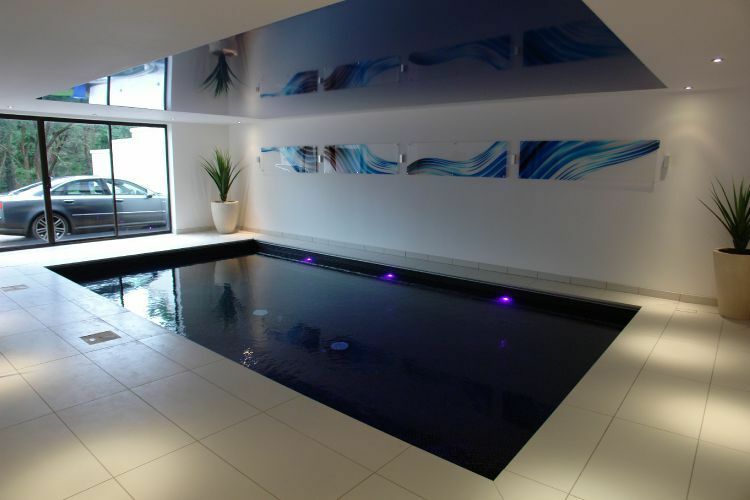 However, indoor pools do require room ventilation to control indoor humidity caused by the large amount of evaporation. Without a proper ventilation system, high indoor humidity levels will cause numerous problems, including condensation on cold surfaces and rusting of structural components. The energy required to run this ventilation system adds to the cost of operating an indoor pool. Also, the ventilation air must be conditioned, which further adds to the costs. Because most indoor pools are used year-round and they have no opportunity to gain solar heat, they often have much higher energy costs than outdoor pools. The above list is a brief overview of how we can help you save money. 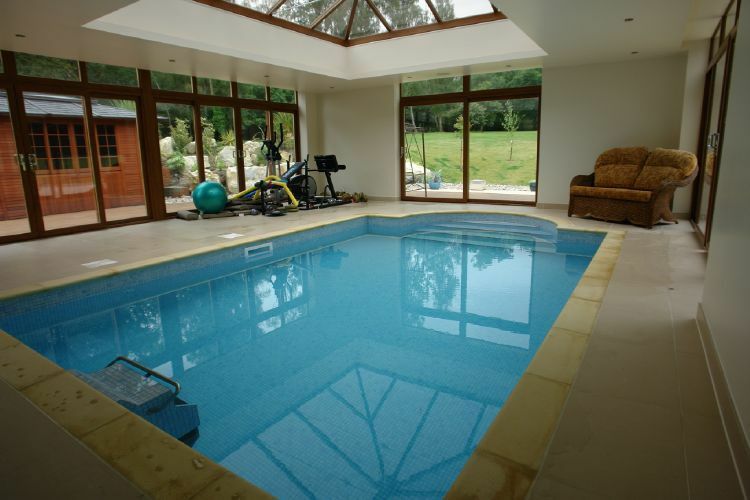 This is a recent build in which the client specified a log cabin to be built over the pool. Log cabins are becoming increasingly popular in this country especially over pools as they make for great insulation, all year round swimming and are in keeping with the environmental surroundings, especially if you live in rural locations.